FTC disclaimer: This post contains affiliate links. 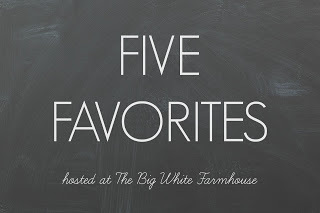 It's Wednesday, so that means it's time for Five Favorites, linking up with Ashley over at The Big White Farmhouse. 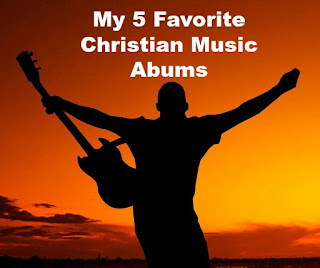 Today's Five Favorites: My top five music albums of all time. Can there be a better album than City On A Hill: Gathering? I think not. When I went to Israel in 2006, I only had an mp3 player that stored only about one hour's worth of music. This is the album I decided to load on it. I listened to it "On Location" so to speak. I grew up Protestant, and imagine my surprise when I started attending a liturgical church (and of course later Catholic), but when I realized this album pretty much follows the liturgy. There was something so chilling about listening to these songs at the places where the events took place, and I'm so glad this is the album I chose to take to Israel on my mp3 player. Another of my most listened to albums is She Must And Shall Go Free by Derick Webb. The language is a little course in this album for a Christian album, but it doesn't bother me any. The one thing I love most about this album is people who know the Bible will really receive a fuller message (although anyone can enjoy it.) I listen to this album and it feels like there is such a multi-level meaning in each song. It has catchy tunes, and I really enjoy the music, but the lyrics rule. The other cassette I wore out? Return to Paradise was released in 1989 by Randy Stonehill. He is actually in concert (sort of) near where I live this weekend, but due to my husband's work schedule we won't be able to go. That disappoints me greatly because this album was my go-to in college. I remember listening to Weight of the Sky and You Can Still Walk Tall and it giving me the encouragement to keep putting one foot in front of the other and facing another day at some of the most difficult times of my life. The other songs are just as strong. My friends from high school and I kind of considered "Friend of Old" our theme song when most Christian youth groups were adopting "Friends" by Michael W. Smith. Randy Stonehill has amazing musical talent and, like Kenny Marks, is under appreciated by the masses. His other albums are great as well, but this one is my favorite. Can I have a tie? 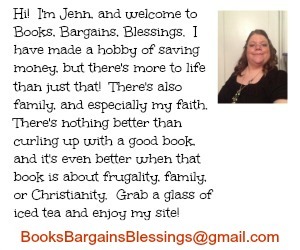 Well, it's my blog and I'm going to! The Jesus Record by Rich Mullins belongs on this list. An amazing album, he was working on it when he died in 1997. He didn't write down any of his songs, but he had taken a cassette player into an old church and played this album on the piano and sang to it. Various artists did the studio versions. My Calm, Your Storm by Caedmon's Call is the final of my favorite five. I remember hearing this album in 1996 before they became known nationally. I was riding around with a friend who attended a Louisiana Tech, and he said they were a local band. I wrote down their name and went on the search of this album. Back then it was more difficult to find an indie album than it is now, but my search paid off and it's one of my most played albums. I remember at my friend Heidi's memorial, There's a Stirring was sung.